Ferdos Majeed was selected the first Andi Parhamovich Fellow in 2008. Ferdos worked with closely with Andi in Iraq so her selection was a fitting tribute. 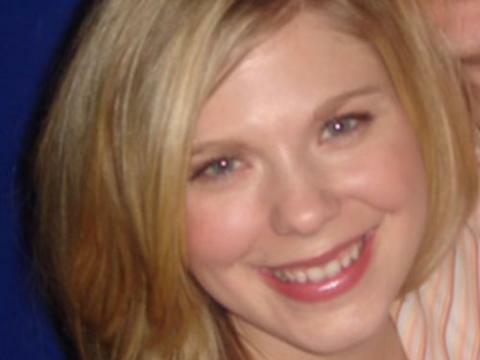 NDI staff-member Andi Parhamovich, 28, was killed on January 17, 2007, when her convoy was attacked while returning from a political party training session in Baghdad. 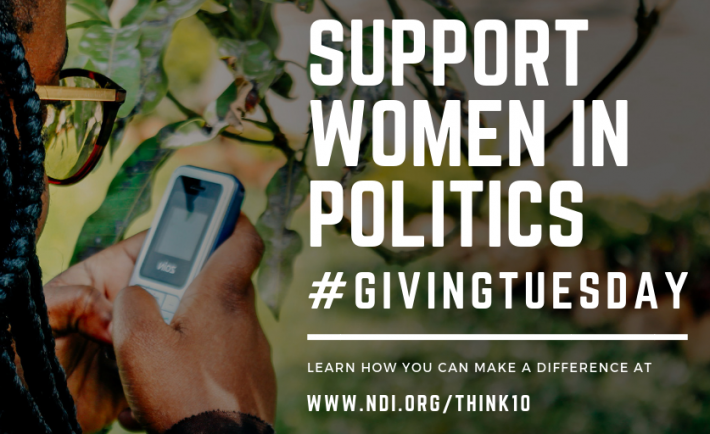 Editor’s Note: Erin Matthews worked closely with NDI’s Gender, Women and Democracy team and the family of Andi Parhamovich to set up the first version of the Fellowship and to refine it over the years. 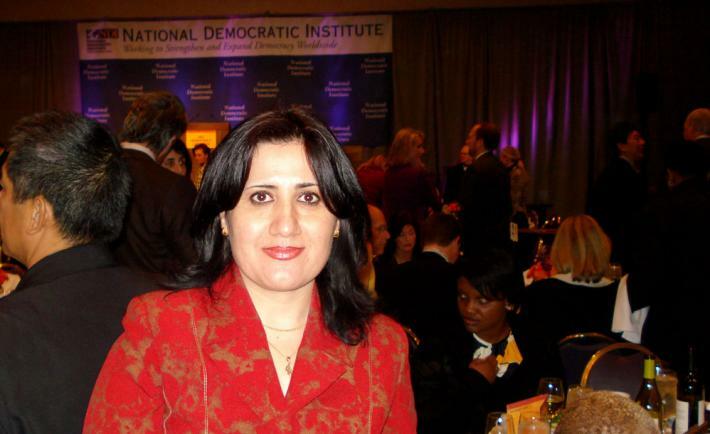 January 17th, 2017, marks the 10th anniversary of the death of NDI Baghdad employee Andi Parhamovich and three security personnel during an ambush in Baghdad, Iraq. While there is no way to adequately respond to such a tragedy, the Parhamovich family hoped to find a way to continue one of Andi’s passions: increasing women’s participation in politics. The Andi Parhamovich Fellowship was created so that young women from all parts of the world would be able to take advantage of resources and connections in Washington D.C. that they could then take home to their countries and move forward Andi’s goals. The first Andi Parhamovich fellow, Ferdos Majeed, was a natural choice for the honor. She was a star among the dedicated staff members in Iraq. She had worked closely with Andi and saw the commitment that Andi made to helping Iraqis make political progress. Ferdos felt the change NDI was making every day and viewed Andi’s death as further evidence that NDI’s assistance and commitment in Iraq was needed -- despite the extreme circumstances. 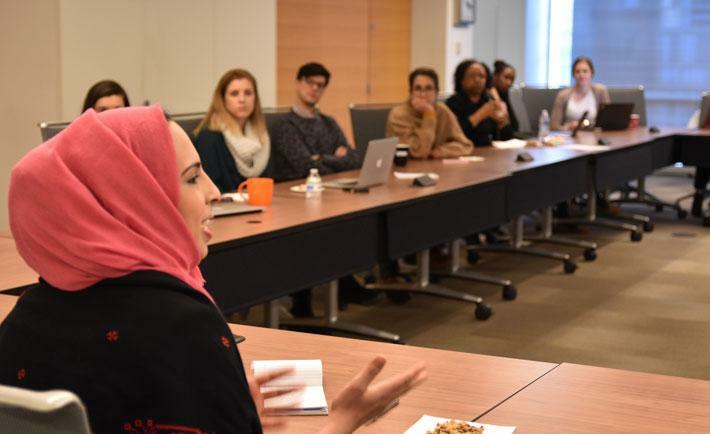 Ferdos’ program work with women and civil society helped her focus her time in Washington, D.C., where she took advantage of NDI’s resources and formed relationships with several advocacy and foreign policy groups around the city. When she returned to Iraq, she applied the information and knowledge she gained during the fellowship and shared it with her colleagues and program partners. 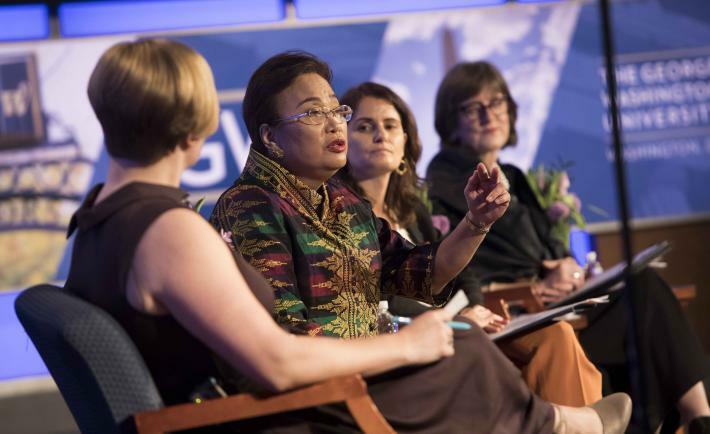 She brought new ideas as to how to increase women’s participation in politics, how to raise the profile and urgency of women’s and family issues with policymakers and politicians and how to connect civil society and political parties. Equally important was the relationship that Ferdos made with Andi’s family. They shared many stories about Andi and their time with her. Vicky and Andre Parhamovich brought Ferdos into their family and worked together to make sure there was a worldwide legacy to continue Andi’s work. Ferdos herself was evidence of Andi’s positive impact and of the value of NDI’s work, and she used the fellowship to continue that progress. Though Ferdos has since moved on from NDI, the program is benefitting from the solid foundation she and others built. NDI still has a vibrant program in Iraq and has focused a lot of its work on supporting Iraqi women in politics. The commitment of Ferdos and her colleagues helped carry on Andi’s work in Iraq and spread its impact around the world.